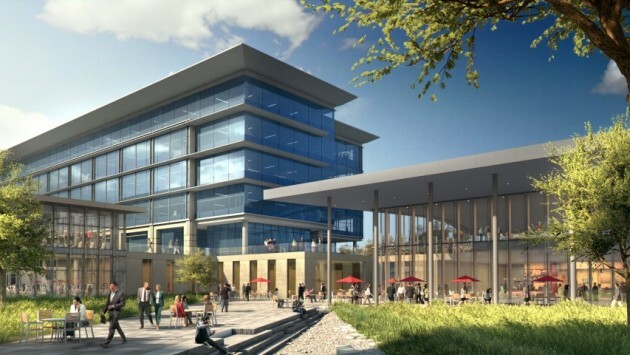 Yesterday, we covered a teaser video that Toyota had leaked with renderings of its upcoming North American headquarters in Plano, Texas. Now, we can reveal that the automaker has released a much more detailed video that shows us just what to expect from Toyota’s new Texan home, for which building began this January, and which should be completed by Q1 2017. In the one minute 20 second time span of the video, we see beautiful landscaping surrounding a slightly crescent-shaped building, green spaces and trees galore, and an imposing entryway featuring some of Toyota’s best-known cars on display. A shaded outdoor area is available for employees to sit and eat lunch or take a break. 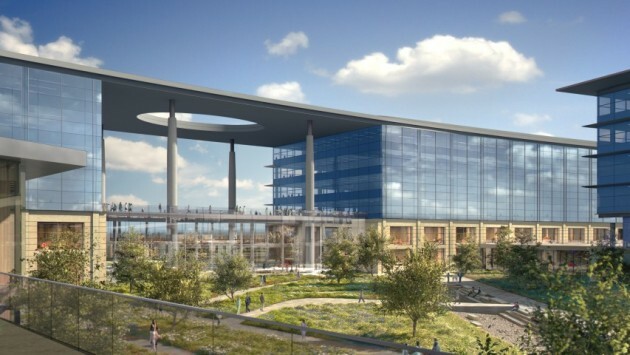 The headquarters is designed to be environmentally sensitive, with water featured designed for catching and storing water for irrigation purposes, solar panels on parking structures and office buildings, and a planned LEED Platinum rating (the highest rating that the US Green Building Council gives out) once it’s completed. 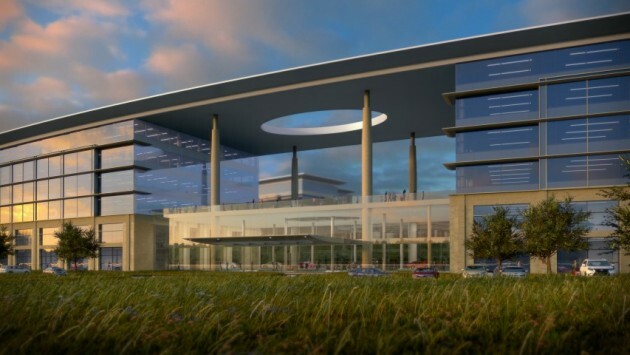 The headquarters will consist of seven buildings, predominantly made of glass, that are up to five stories tall. Roof overhangs will be built on the southern sides of the buildings in order to create shade and keep the building cooler. For landscaping, Toyota will use only local and regional materials to keep with the natural landscape of North Central Texas.